Hardworking and enthusiastic, Joan Evans Ferry has led a long and varied career as a therapist, consultant, editor, and school counselor. 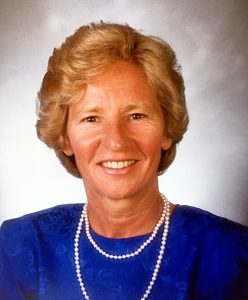 She began her journey at the Lansdale School of Business and Lehigh University, and ended up earning a Bachelor of Science from the University of Pennsylvania in 1964. In 1967, Ms. Ferry obtained an EdM from Temple University, and over the years, she furthered her studies by completing postgraduate work at the University of Hawaii, the University of Pittsburgh, and Villanova University. She is certified as a cash flow consultant, a parent effectiveness therapist, a youth effectiveness therapist, a play therapist, and a school counselor. As a self-employed cash flow consultant and owner of Capital Funding Solutions since 2004, Ms. Ferry helps businesses gauge their financial performance and determine whether or not they have more assets than current liabilities. She helps companies track their cash flow in order to succeed. She has also been an editor at the Princeton Publishing Group Inc. since 2000 and a private practice counselor at Real Estate Partnership in Perkasie, Pa., since 1981. Previously, Ms. Ferry held positions as an elementary school teacher in Perkasie, a research assistant at the University of Pennsylvania, a mathematics and German tutor at St. Lawrence University in Canton, N.Y., and an industrial photographer for the Bucksco Manufacturing Company, Inc.
Ms. Ferry has contributed her time to many organizations and associations in her community. She was a member of various volunteer fire and ambulance squads, the House Rabbit Society, National Arbor Day Foundation, and Best Friends Animal Sanctuary. She was also a soloist at Good Shepherd Episcopal Church, a marshal at the Wachovia U.S. Pro-Championship Cycling Race, a medical volunteer at the Olympics in Atlanta, and a special driver for the Bush family at the Republican National Convention in Philadelphia in 2000, among other charitable endeavors. In recognition of her remarkable accomplishments, Ms. Ferry has received a number of accolades. As a skier, she earned service awards from the Spring Mountain Ski Patrol and the National Ski Patrol. She achieved recognition from the International Olympics Committee, B’nai B’rith International, the National Science Foundation, the International Tennis Hall of Fame, American Red Cross, American Cancer Society, and Community Leaders of America Hall of Fame. Additionally, she was honored by the Pennsylvania State Education Association for service to the education and teaching profession, and was the recipient of the achievement award from the Women’s Inner Circle. Ms. Ferry has been inducted into the Millennium Hall of Fame, the International Business and Professional Women’s Hall of Fame, Community Leaders of America Hall of Fame, and the International Tennis Hall of Fame. She also received the International Educator of the Year Award and the Marquis Who’s Who Lifetime Achievement Award, and was featured in numerous editions of Who’s Who in Finance and Industry, Who’s Who in America, Who’s Who in American Education, Who’s Who in the East, Who’s Who in the World, and Who’s Who of American Women. As a sky diver, scuba diver, and skier, Ms. Ferry spends her free time participating in both land and water sports. She also loves music, photography, flying, and traveling.